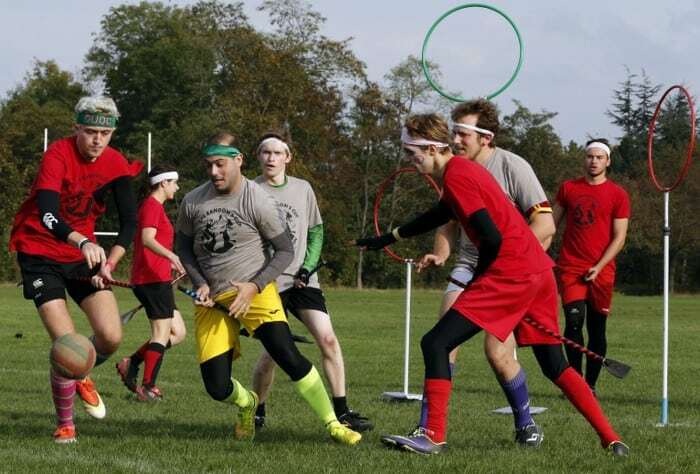 If you’re a Harry Potter fan, then you probably know what Quidditch is. But just because it’s fictional, and we don’t have a magical broomstick or a fireball, doesn’t mean we can’t play Quidditch! You can call them Muggles, but they’re a lot more creative than you think! 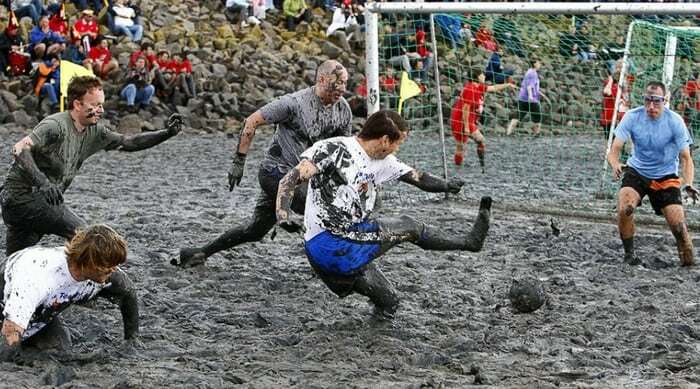 Invented and held in Germany, this game includes common sports like volleyball, football, sled racing, played on a field full of mud. The purpose of the game? Two things; having fun and charity works. It may be dirty in our eyes, but they’ve helped a lot of cancer patients. 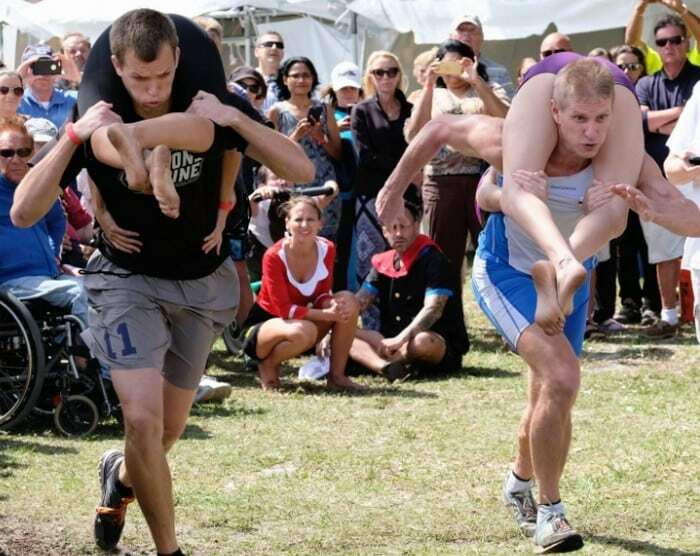 And yet another hilarious Finnish invention, in this sport, a male competitor race while carrying a female teammate. The ultimate goal is for the male contestant to carry the female contestant through a special obstacle track a fast as possible. 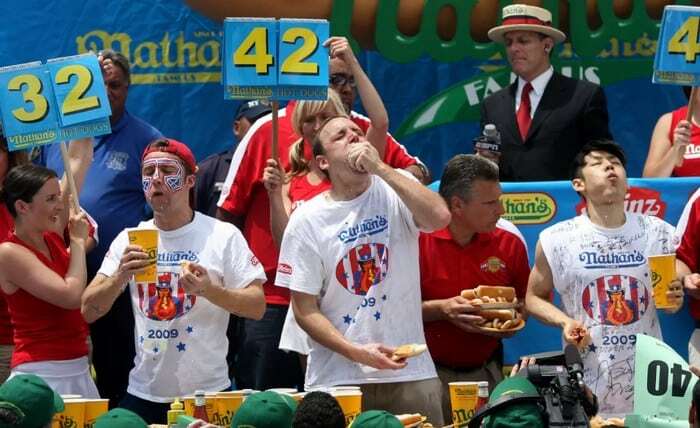 Anyone who says this is not worthy to be called a sport must keep this in mind; Nathan’s Hotdog Eating Contest has been played since 1916. Which basically means that this contest has been running for over a century! The winner takes home a gold-plated title belt and a cash prize. 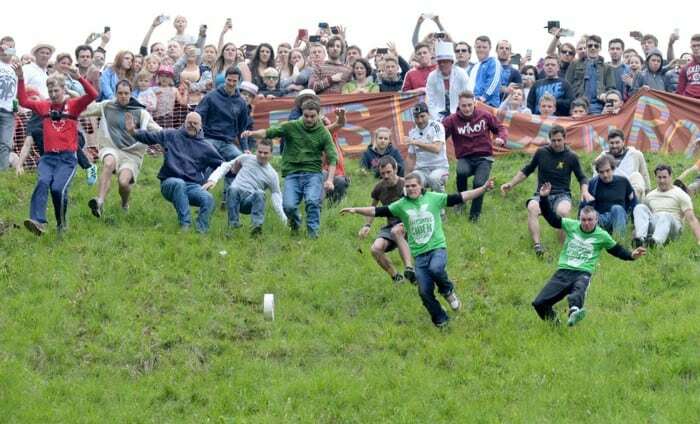 Another fun but life-threatening game held annually at the village of Brockworth in Gloucestershire, where participants race down a hill for an eight-pounder wheel of cheese. The cheese itself can roll down at a speed of 70MPH, and it doesn’t have a spine to worry about.